Our employment law attorneys are trained in evaluating and prosecuting employment law cases. Often employees call our New York Employment Law Firm and believe that they have a multi-million dollar case because they were fired without case, without notice or in an unfair manner. However, New York, New Jersey and Connecticut are at-will employment states where employers generally can terminate employees with or without cause and with or without notice. 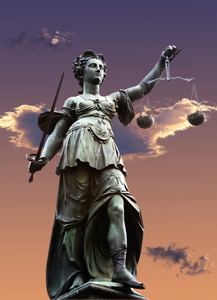 Unfair does not always equal unlawful. Generally, there is no such claim as wrongful termination. That being said, Civil Service employees and union employees do have additional job protections and employers are prohibited from discriminating, harassing or retaliating against employees based upon protected categories. Each employment case requires a careful factual review to whether you have a claim for unpaid overtime, employment discrimination, sexual harassment or any other employment-related claim. Our attorneys have represented many employees in federal and state courts and before the federal employment agencies (ex. EEOC, United States Department of Labor) and state employment agencies (ex. New York State Division of Human Rights). Call now to speak with one of our New York Employment Law Attorneys to discuss your specific situation -- (800) 893-9645. Our EEOC trial lawyers have represented clients in employment discrimination and harassment cases before the EEOC. For more information about employment discrimination cases, click here. Our New York employment discrimination lawyers have represented clients in employment discrimination and harassment cases before the New York State Division of Human Rights. For more information about employment discrimination cases, click here. The Walter J. Mahoney State Office Bldg. Our employment discrimination attorneys have represented clients in employment discrimination and harassment cases before the New York City Commission on Human Rights. For more information about employment discrimination cases, click here. Our employment discrimination and human rights lawyers have represented clients in employment discrimination and harassment cases before state and local agencies. For more information about employment discrimination cases, click here. Our New York, New Jersey and Connecticut Overtime lawyers have represented clients in overtime and unpaid wages cases before federal agencies in New York, New Jersey and Connecticut. For more information about overtime cases, click here. Our New York Overtime lawyers have represented clients in overtime and unpaid wages cases before federal agencies in New York. For more information about overtime cases, click here. Our New York workplace lawyers have represented clients in workplace safety and health issues. For more information about workplace safety and health cases, click here. Our New York and New Jersey Labor lawyers have represented clients in unfair labor practices before federal agencies and courts in New York. Please contact us at (800) 893-9645 to speak with one of our Labor Lawyers to discuss your case. Our New York employment law attorneys have represented clients in unfair labor practices before in New York. Please contact us at (800) 893-9645 to speak with one of our New York public employee lawyers to discuss your case.